Exciting event for Jake’s Collection and SickKids – Mars Hotel | ECHOage - Get great gifts. Give to charity. ECHOage would like to highlight the upcoming event in support of our wonderful partner Jake’s Collection. 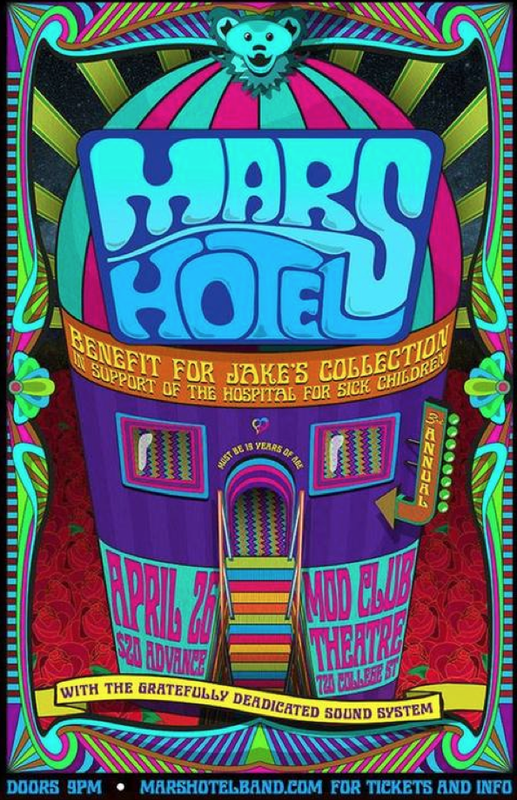 The Mars Hotel, a live Grateful Dead Tribute Band and professional Grateful Dead DJ will play – and it promises to be a magical night – with all proceeds going to Jake’s Collection at The Hospital for Sick Children. Come out and meet some of the members of the ECHOage Team, and the lovely people who run Jake’s Collection.